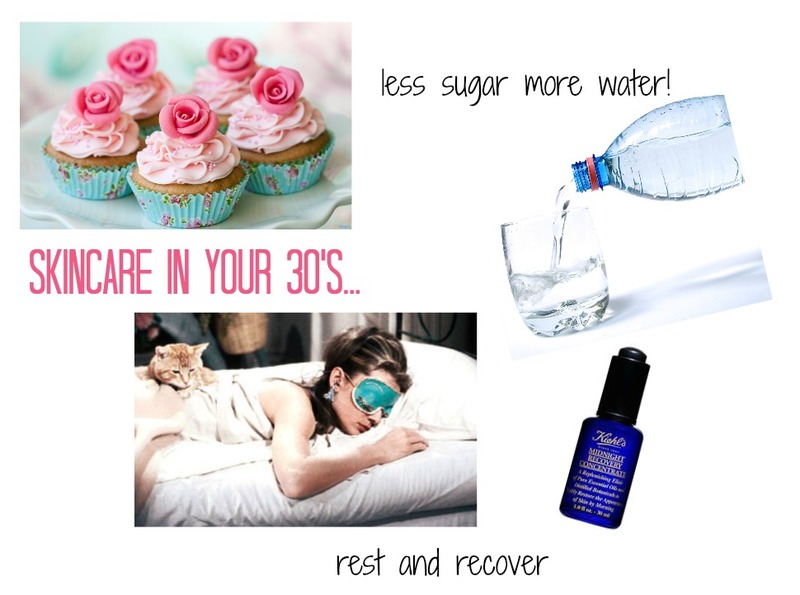 First of all, no need to be alarmed – yes I am in my 30’s. What’s that you say? I don’t look a day over 21, you are too kind! Okay, okay, you got me … I’m turning 33 this Saturday, and my skin is starting to look it. I’ve always had a horrible relationship with my skin. When I was really young (under 10) I had chapped dry skin, and then I hit 12 and got oily painful zits that would remain with me until I was 23 and had my first child. Something happened to my body during pregnancy and I stopped getting the pimples, but the deep rooted scars were already there and have gotten worse over the last decade. But then a few months ago I started noticing other things; fine lines around my eyes, dark spots on my neck … and dare I say it, looser skin on my jawline. Nothing too drastic, but enough to make me recognize that my skin is changing again and I need to start taking better care of it. Create a routine – there is no excuse for indiscretion. We are simply too old to fall asleep with our make up on, skip cleansing, or pop zits – just don’t do it. Recognize that skincare is self care and find 5 minutes in the morning and 5 minutes before bed to wash, tone, and treat or moisturise. Your skin is not as forgiving in your 30’s as it was in your 20’s, just a couple of days of treating it poorly can take 30-60 days to repair. 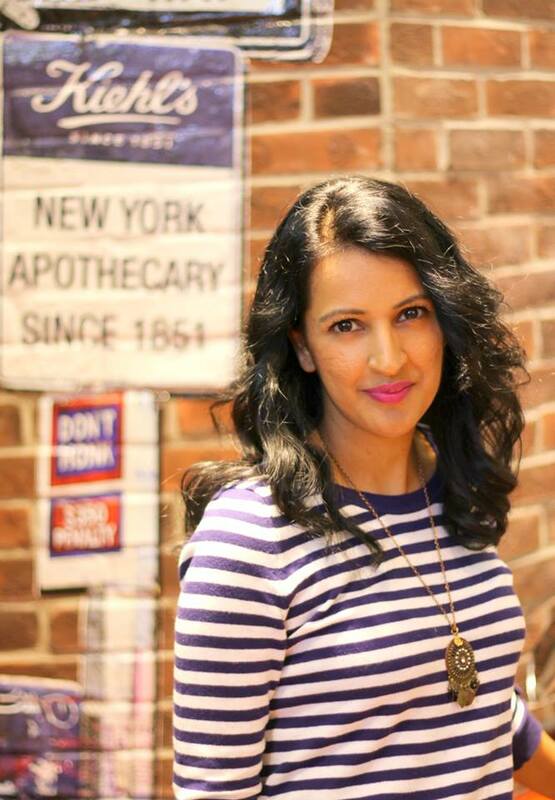 Use good quality products – I’ve been a drug store product junkie my whole life, and still use them, but I am starting to realize that my skin is not a place to scrimp. At the end of August I got a chance to try some products from Kiehl’s and I’m not going back. The Midnight Recovery Concentrate has changed my skin so much. I wake up with smoothest most vibrant looking skin I’ve ever had in my life, and my scars are starting to look less noticeable too. I highly recommend going into Kiehl’s and having one of their specialists do a skincare analysis on you. Side note if you have kids: I took my son in who is having some pimple issues on his forehead and has very dry chapped lips. The staff were so kind, didn’t make him feel embarrassed and the products are really helping him. If you have a little girl that needs some education on skincare, they would be the perfect place to start the conversation too. Side note if you have breakouts – I still have hormonal breakouts just before my cycle starts and they tend to come around my jawline and are painful! To manage those I use the mask, toner, and Hyaluspot lotion from Vichy. Only use it on the breakout area though because it’s extremely drying. Drink lots of water – There are all sorts of opinions on how much water you should drink in a day, all I know is my skin looks way better when I’m hydrated. I keep a water bottle on my desk and sip throughout the day. Get good quality sleep – I don’t really know how to explain this, but if I sleep 10 hours and it’s restless, I look awful the next day. Give me 6 hours of deep uninterrupted sleep and I’m glowing. For me that means shutting down my computer and work at least an hour before bed, wearing warm cozy clothes, and sleeping with an eye mask to block out light. Wear Sunscreen – Do you really need me to explain why this is so important? Just do it. Another idea I just started trying but haven’t tested long enough to really share the results is sleeping on my back and using a silk pillow. When I had my eyelash extensions done, the technician told me I probably sleep on the left side of my face because my lashes are all bent and broken on that side. It’s also the side I had the most breakouts as a teenager and now have the most scars – so she was probably right. I’ve been trying to train myself to sleep on my back for about a week now (not easy) and also sewed up a silk pillowcase because it’s supposed to prevent creasing and lines on your skin, and hair breakage. Will let you know how that goes. Wow, super long post – don’t forget to share any skincare tips you might have in the comments, and if you are in a super rockstar mood please tweet this post or share it on your Facebook wall for friends to see! definitely agree with 2 things: sleep and water. And I am the same way – a restless night of sleep from 11 pm to 7 am makes me grouchy and looking like a zombie. but 6 straight hours uninterrupted and I am fine. As for products – I can’t afford the big expensive stuff, but I’ve always used the same product pretty much my whole life: St Ives Apricot Scrub. cheap and it works great. But whatever you use, the main thing is Just Wash! Even if you are 20 something, do not make a habit of sleeping in your makeup. I guess I am pretty luck genetically. I am in my 40s and I don’t use anything other than sunscreen. If I ever need a moisturizer, I use my aloe vera plant. And no wrinkles *knock, knock* yet. No fancy serums, cold creams or miracle potions. If I get that tell tale monthly blemish – I just use tea tree oil – which I have on hand for many uses. I keep it pretty simple and as natural as possible. I’ve been guilty of not washing my face before bed if I’m really tired and I often forget my vow to drink more water. Thanks for the reminder and tips! Not only do I love Kiehl’s but I agree with you on the Midnight Recovery- I have been using it for about the past 2 years- while my skin still has flare ups at least it is soft! Also I hear you on the skin change- I have always had really good skin- even as a teen I never had acne- now at 37- with in the past month all of a sudden I look like an acne prone teen- I am freaking out! Thanks for all the tips- I think I need less coffee in my life- it’s a sad, sad day when I say that!